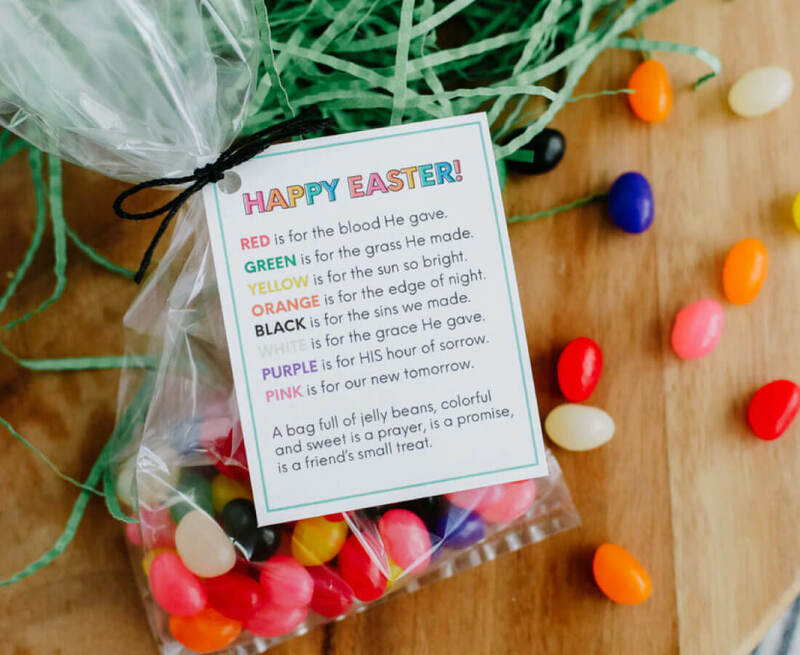 The cutest, meaningful Easter quotes idea – print out this jelly bean poem and share with friends and neighbors for the holiday! As much as I love bunnies and carrots (hello carrot cake!) this time of year, I wanted to create something that represented the real reason for our celebration. Although I don’t usually talk about my religion here, I am passionate about my beliefs and am eternally grateful to my Savior, Jesus Christ. This poem is the perfect reminder. Let’s chat a little bit about Easter and why it means so much ..
Every year Easter falls on a different date. It’s based on the ecclesiastical approximation of the March equinox. If it sounds complicated to you, it sounds complicated to me too. The equinox can be anytime between March 22 and April 25. For 2019, Easter is on Sunday, April 21st. It will be on Sunday, April 12th in 2020. Easter is celebrated in Christian religions as the day that Jesus Christ was resurrected three days after his crucifixion. To learn more about my beliefs on Easter, there are a whole lot of great talks, scriptures and more here. 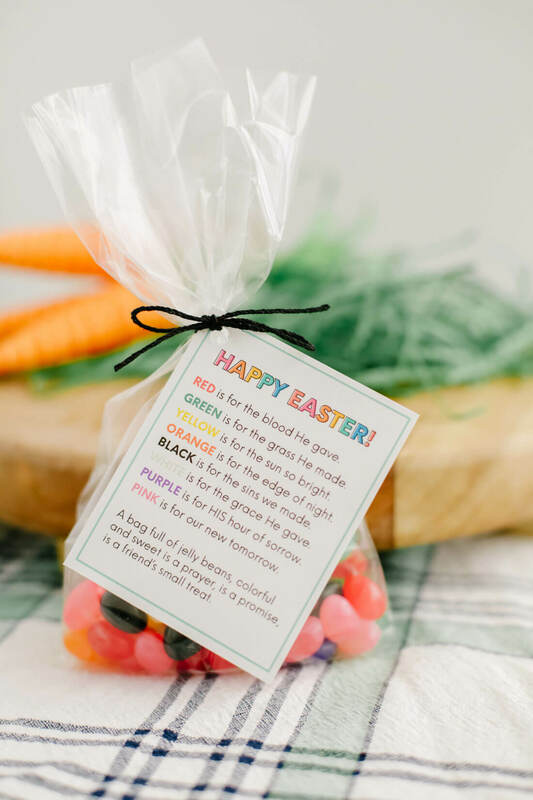 Jelly beans – there are tons of types but make sure that you get the kind that have the colors on this poem! 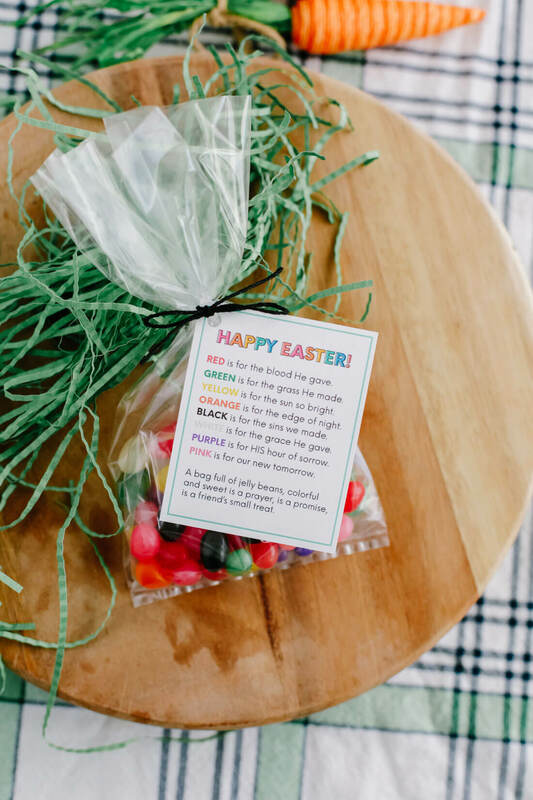 Gather these supplies, print out the tags and attach with some cute ribbon or twine. Jelly bean boxes can be used as well, just attach the tag with tap. 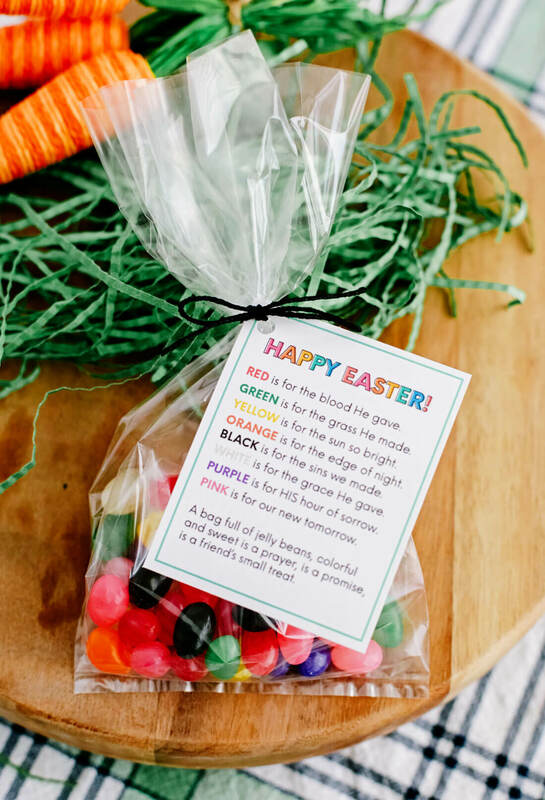 Download and print the jelly bean poem on cardstock. For 30days subscribers and personal use only. Thanks! 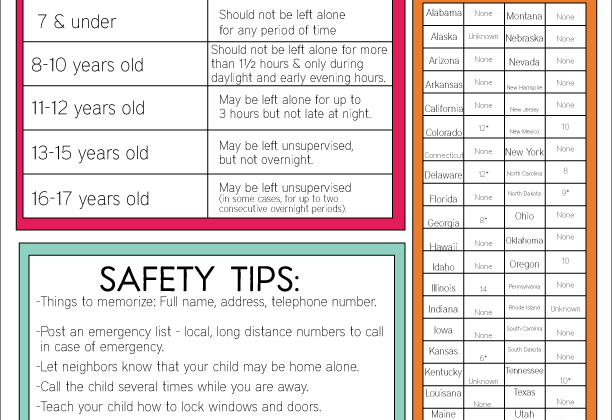 Love this – perfect to give to friends at school. Have pinned for next year as school is already on holidays until after Easter. Thank you for sharing your ideas and making it so easy to make EASTER special. 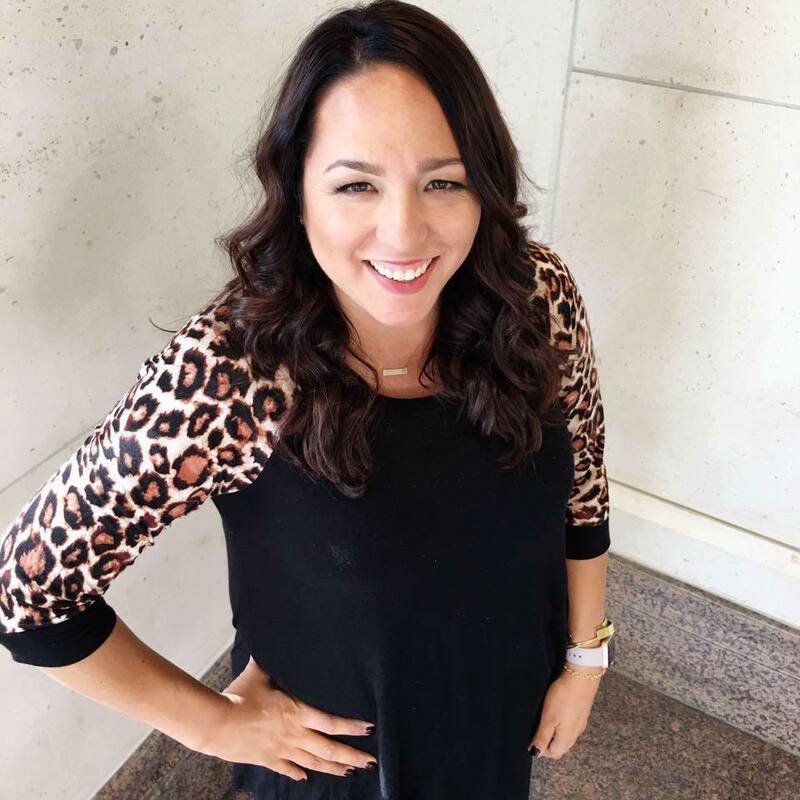 oh girl – i LOVE that poem. brings back so many sunday school memories. These are fantastic, Mique!! Thank you for sharing them with us. 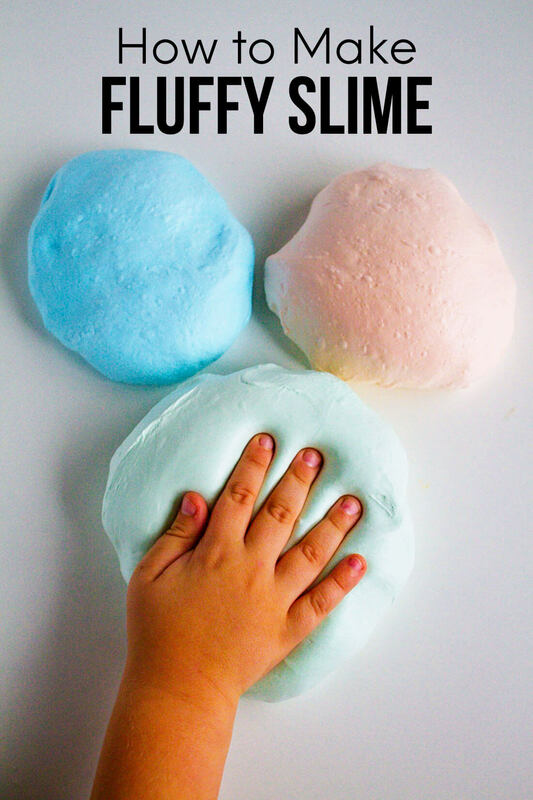 This is actually a treat that I can do (usually they are too complicated for me LOL).